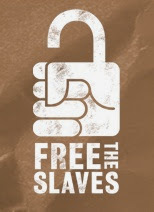 I've got about eight separate and yet loosely-related mini-topics that I'm going to present in a couple of posts. I suppose they're analogous to Disney "package" films, more like, say, The Three Caballeros than Pinocchio. 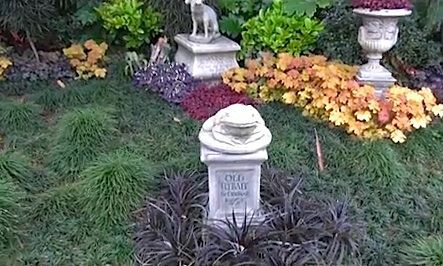 The collections are not random: all of these topics have to do with things seen in the front yard of the Disneyland Mansion. 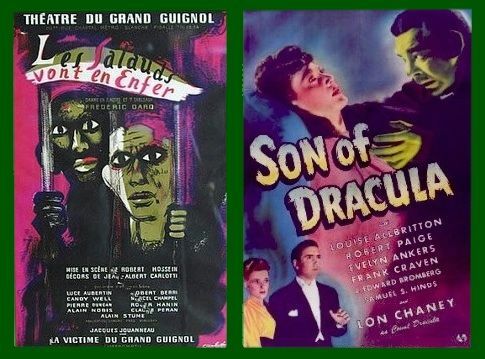 Today there are three mini-posts, and the common theme among them is color. 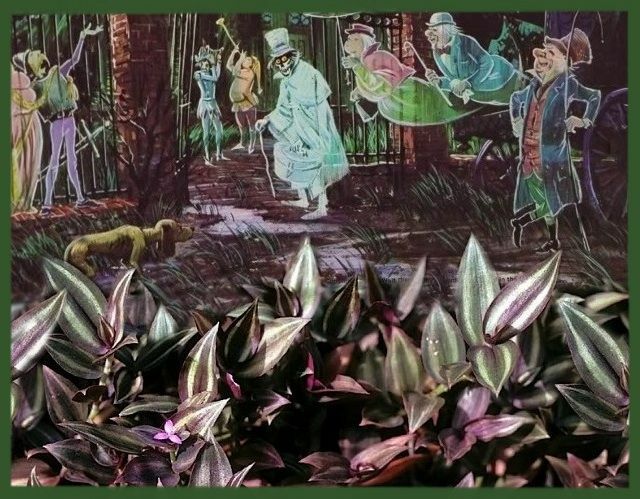 Nobody at Disney was more sensitive to the use of color in the parks than John Hench. 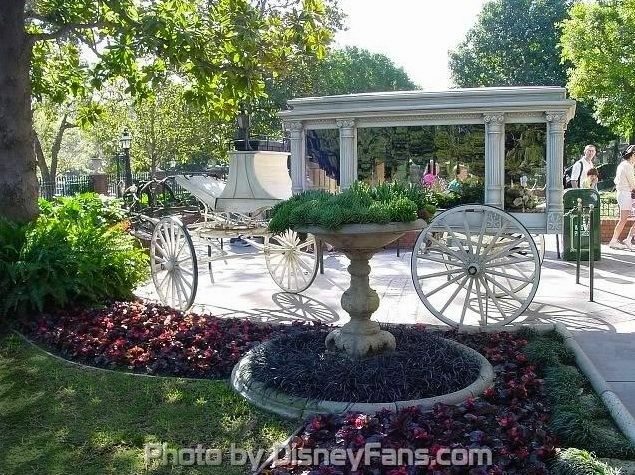 He worked at Disney for 65 years, up until a few weeks before he died in 2004. 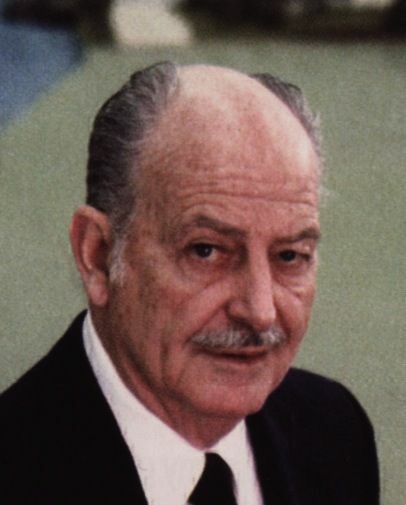 My friends, whatever John Hench tells you about Disney design you can take to the bank. 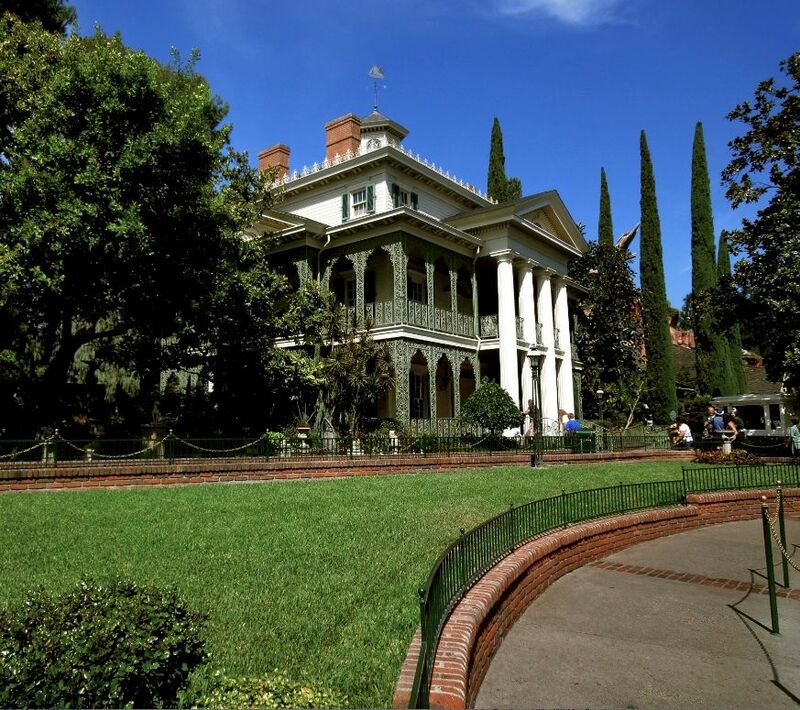 According to Hench, the Disneyland Haunted Mansion is painted "off white." Strange name for a color, isn't it? I mean, aren't red and blue "off white" too? Well, nobody asked me. 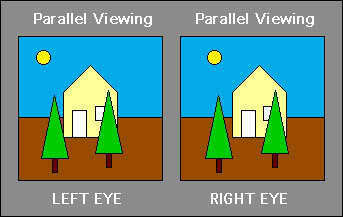 As Hench explains it, the colors for the house are more psychologically complex than people realize. 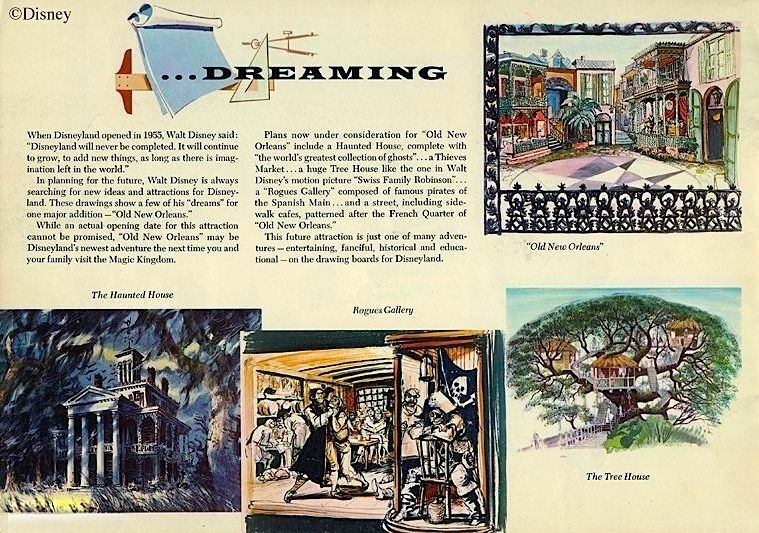 Sometime between 1976 and 1987.
. —John Hench, Designing Disney (NY: Disney Editions, 2003) 116. 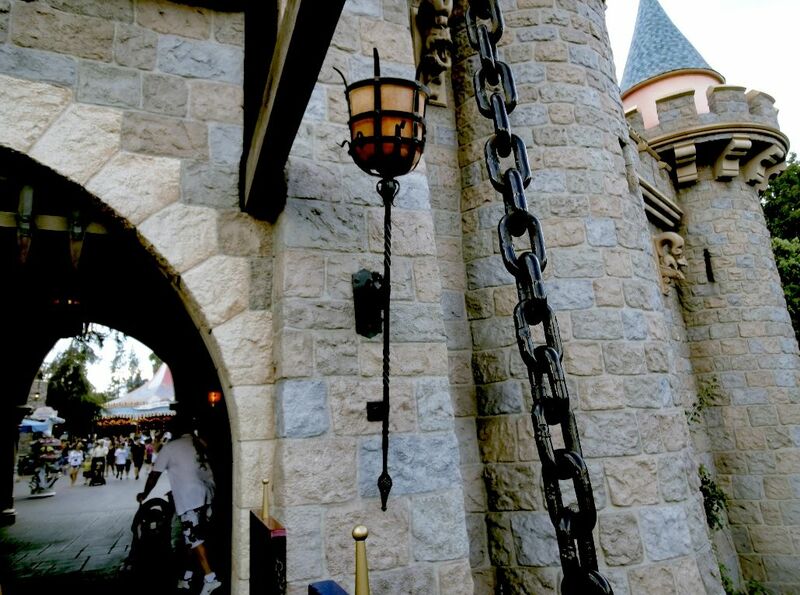 These painting tricks are an example of signals sent from the Imagineers that are received unaware. 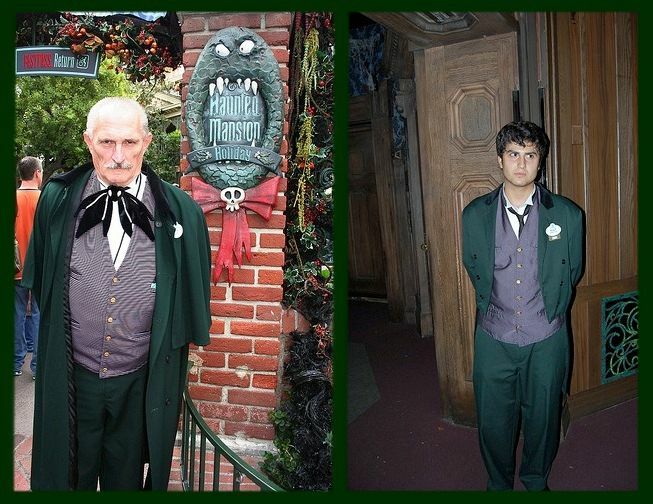 It's extremely unlikely that guests consciously notice the artificial shadowing, but very likely that it affects them psychologically, be it ever so slightly. It's an interesting sort of interaction between artist and audience: An expression fully intentional, very carefully thought out, and yet by design much too subtle for the conscious mind to engage. I don't know. Sounds illegal to me. 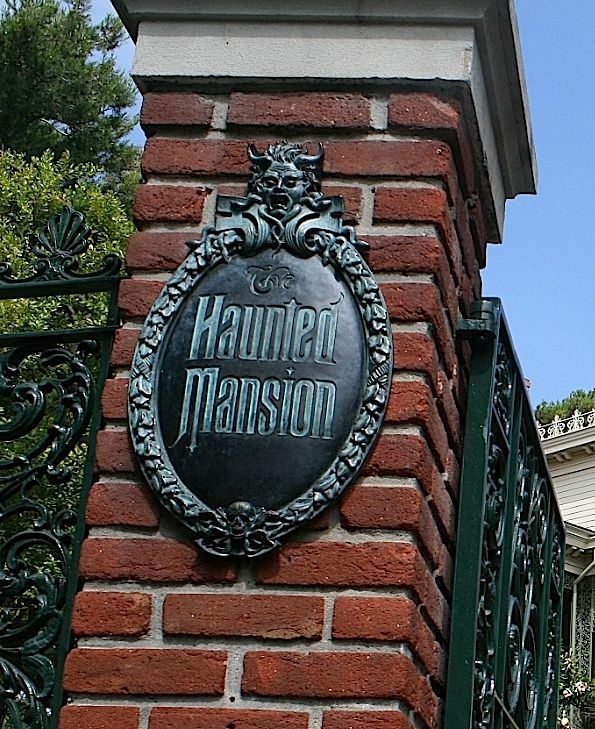 What Hench does not mention is that a radically different color scheme for the Mansion exterior was being contemplated practically from the moment it was first built. 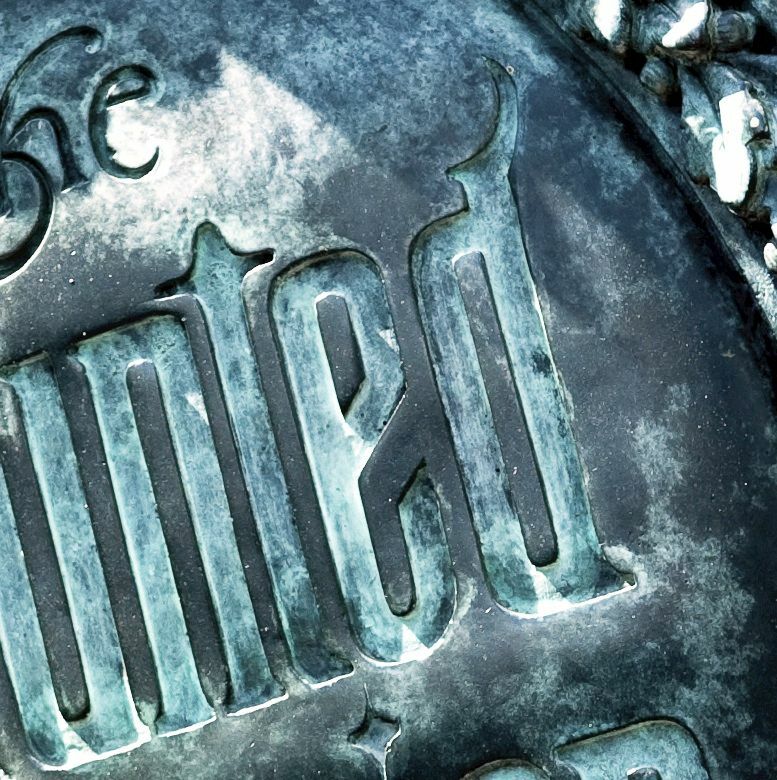 You never hear about it, and were it not for the fact that a mysterious and unique document from those days survived and surfaced, it truly would be long forgotten. 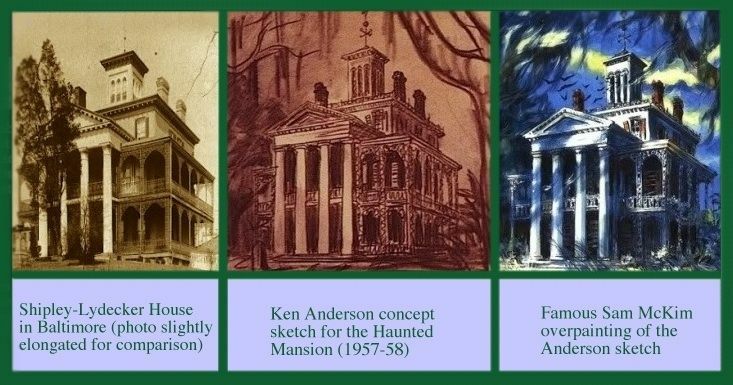 That the house would be white (or off-white) seems clear enough from Sam McKim's iconic concept painting in 1958, which you will recall was a paint-over of a Ken Anderson sketch which was based in turn on the Shipley-Leydecker house in Baltimore. 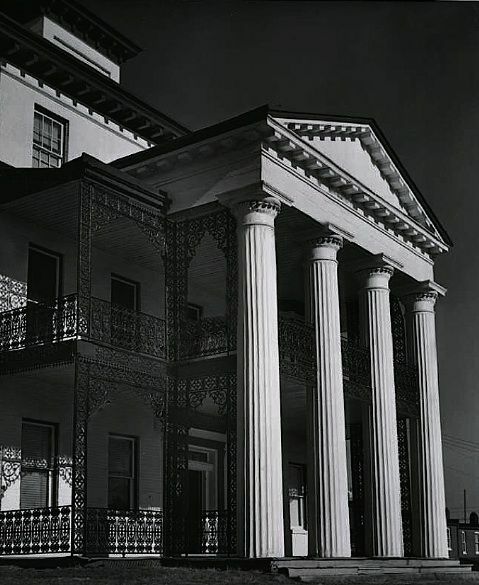 years, so public expectations about the house, long before it was even built, were that it would be a white building. months after the last major landscaping around the brand-new building had been completed. grand scheme of things does this oft-published artifact belong? 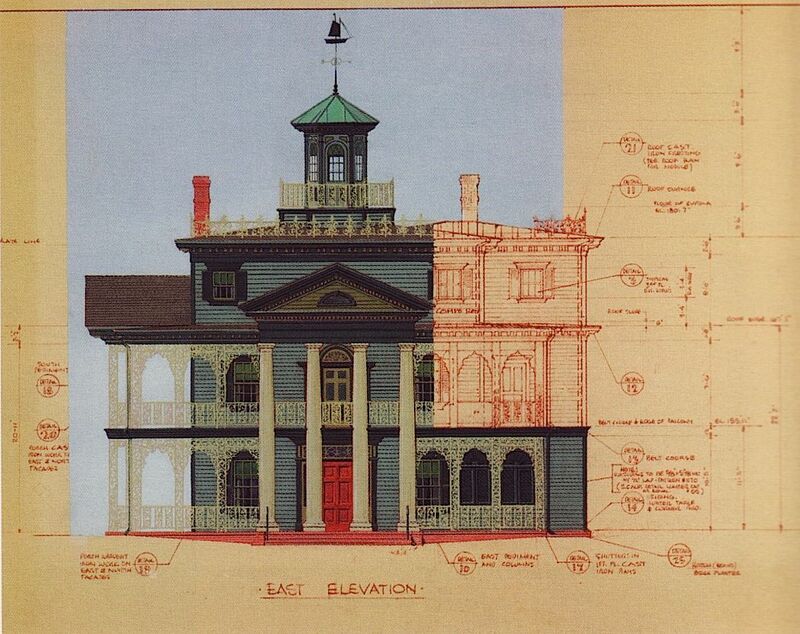 It's a 1962 or 63 color guide for the Haunted Mansion. and puzzle over it today; we've got two more mini-topics to cover. Mustn't dawdle. Scroll on, scroll on. Applied color theory doesn't end with the building itself. 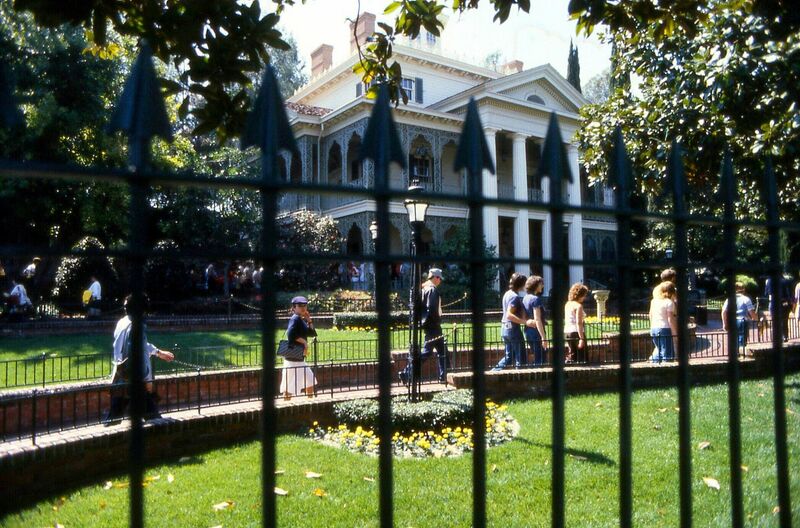 Let's turn around and look at the front yard. 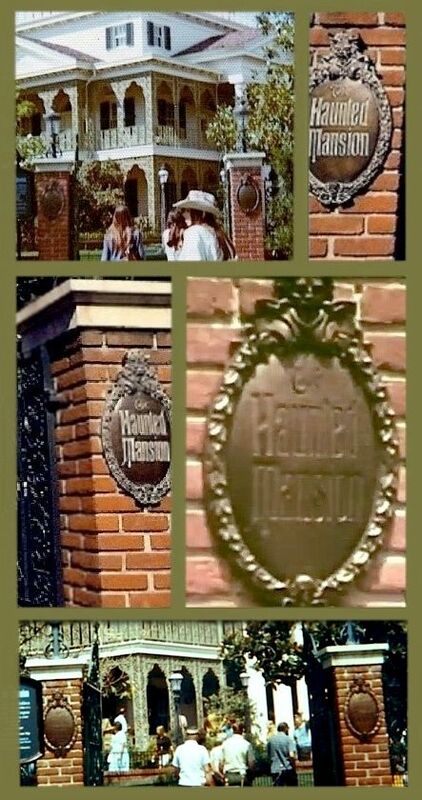 What a pleasant place it is! 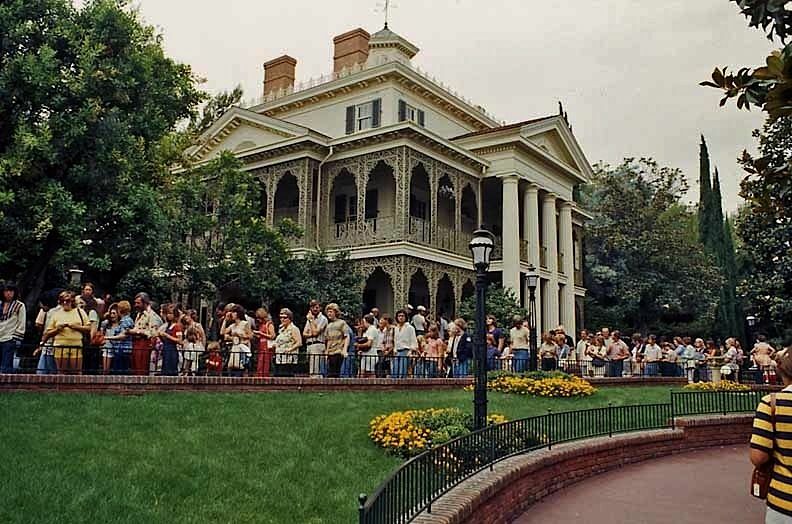 Other, newer rides may have more exciting and entertaining queues (Star Tours, Indiana Jones, Tower of Terror), but for my money the Anaheim Mansion still takes the prize for most beautiful queue. This is still true even though it used to be even more lovely. 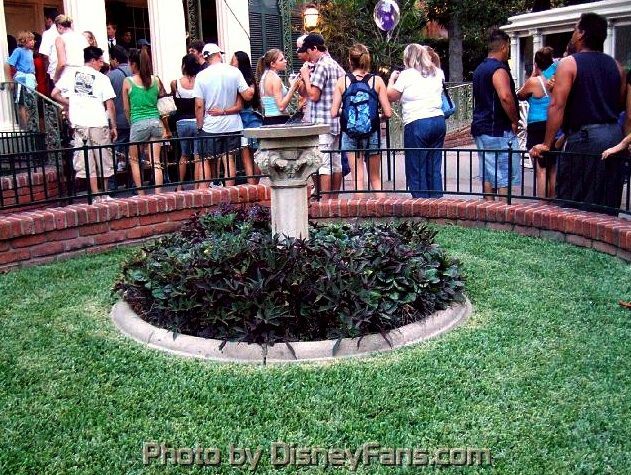 Originally there were flower beds around the light posts. For most of their history, they were warm, bright patches of yellow. 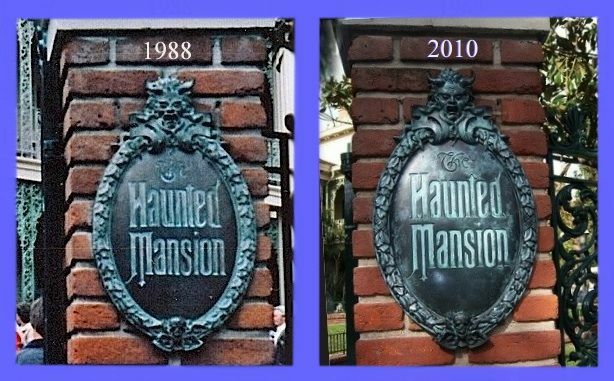 They were taken out in 1991, give or take a year. flower beds, it's still beautiful out there. cheery. It does seem a wee bit more serious and somber without them, and I can't complain about that. 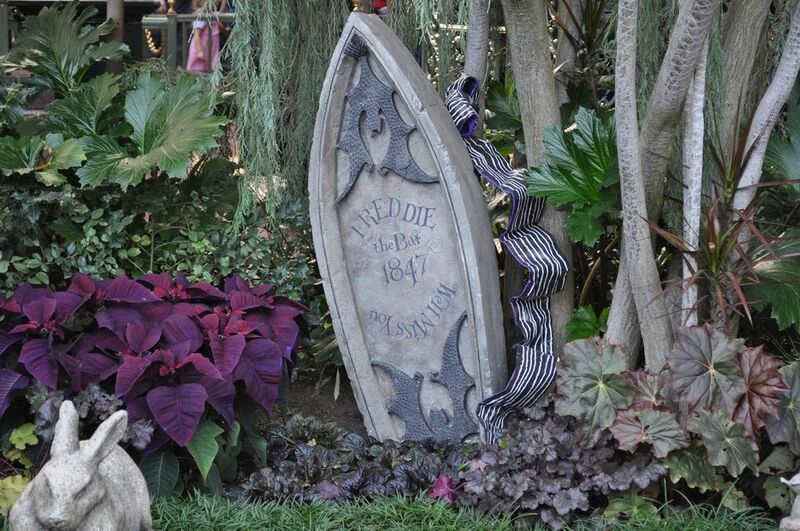 And now, a question: What are Halloween colors? Black and Orange, right? (or Magenta)? 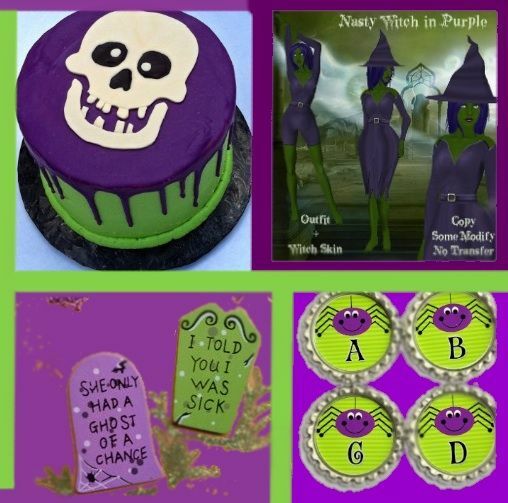 Just google "green purple Halloween," and brother, it's all you can eat. Okay, fine. Now what are the differences between the orange-black strategy and the green-purple one? I can think of two: (1) orange-black is inescapably juvenile, and (2) it's joined at the hip to Halloween. It's difficult to use orange-black anywhere else, because it "looks Halloweeny" no matter what you do, and it's never adult-scary. It's for kids. 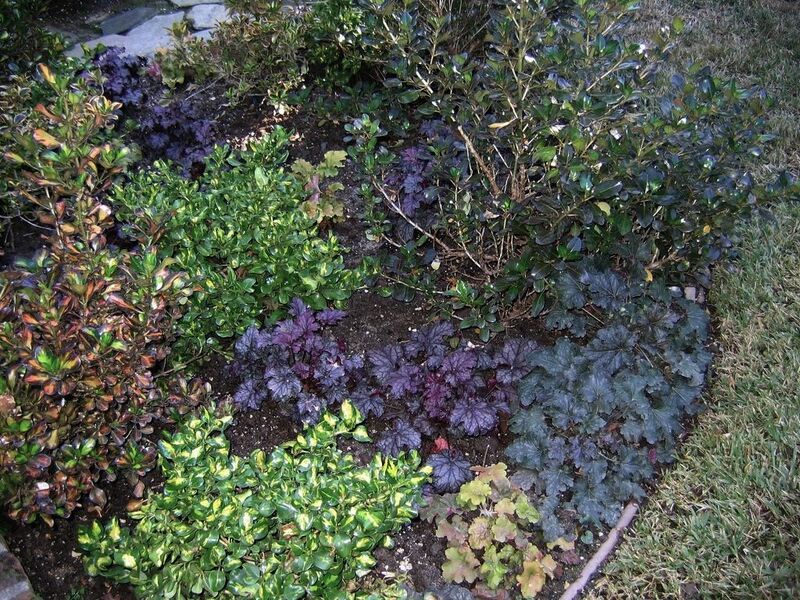 Green-Purple, on the other hand, is not so tightly constrained. 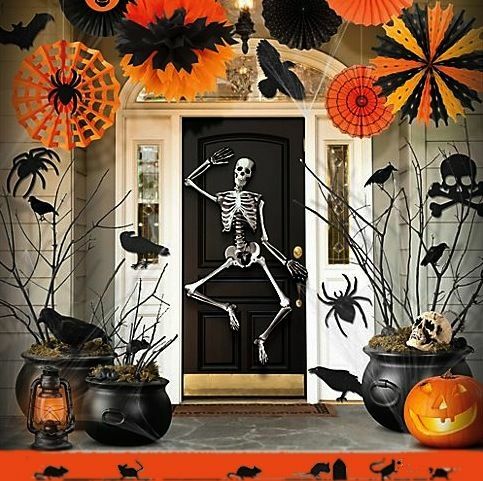 Oh sure, it can go as cute and tricks-or-treatsy as anything orange-and-black (witness the above), but it can also be used for more adult scares, although it always seems to do so with tongue-in-cheek, never too far away from the campy side of horror. 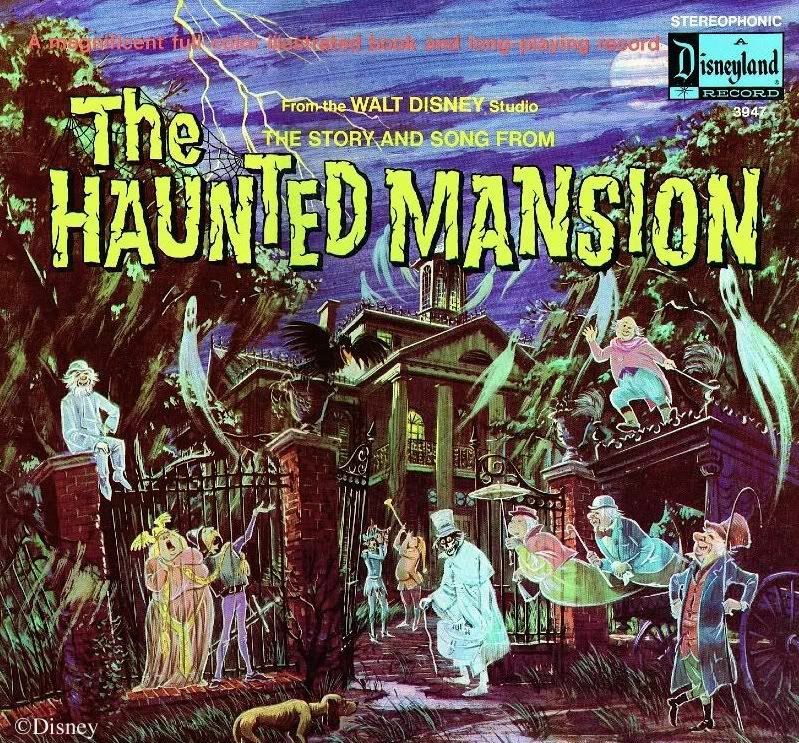 I mean, no one uses the purple-green palette if the intent is to truly scare the crap out of you, but it can certainly be used for the gruesome and grim. 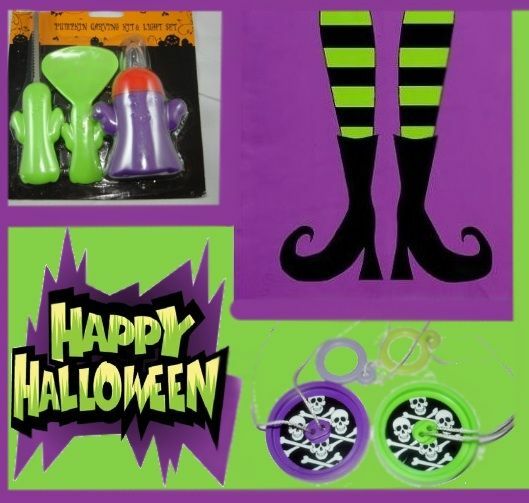 And green-purple is not tied down to Halloween. 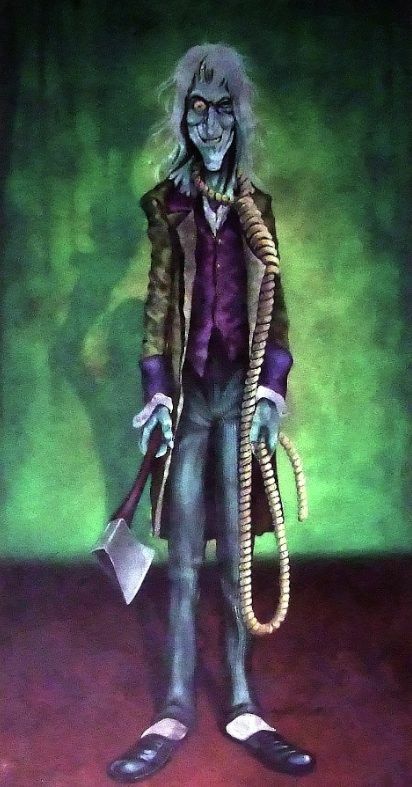 It can be used to evoke spooks and spirits and ugly old creeps far beyond the October horizon. 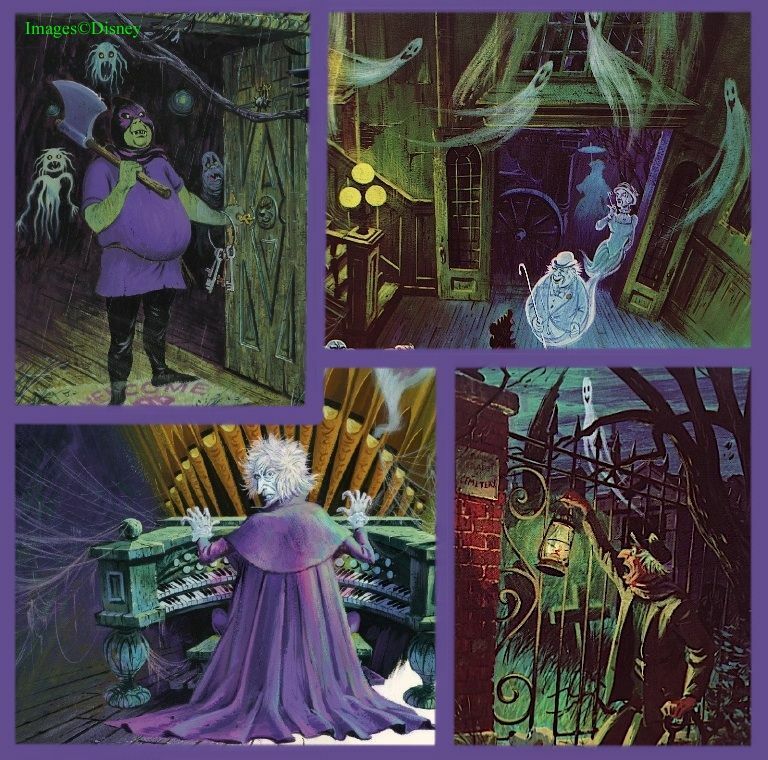 than Collin Campbell's artwork for the "Story and Song" Haunted Mansion souvenir album. but at other times it's purple and green. For variety's sake, one supposes. 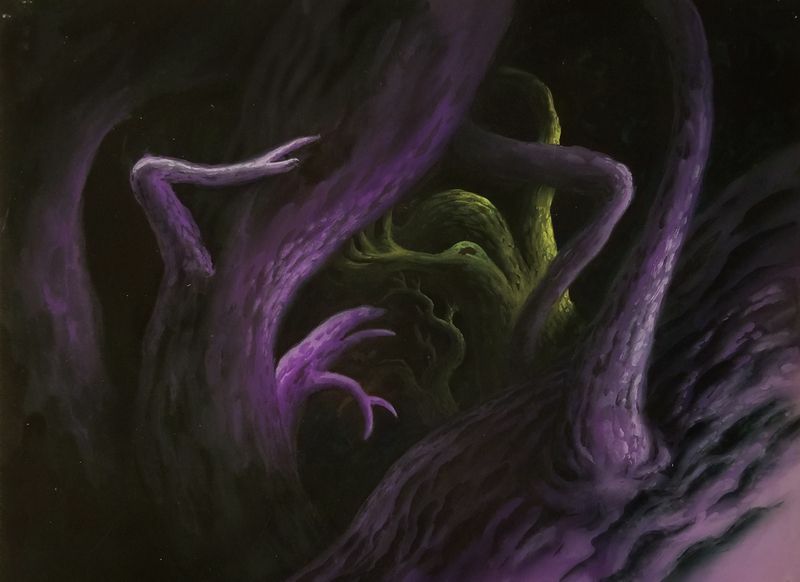 Is this a recent development, this perception of purple (or magenta) and green as a creepy combo? No. Do Disney artists use this palette elsewhere, for the same purposes? Yes. 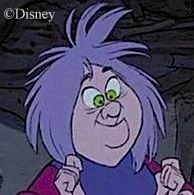 We've already cited Madame Mim, but that's barely the tip of the iceberg. You see how it works. 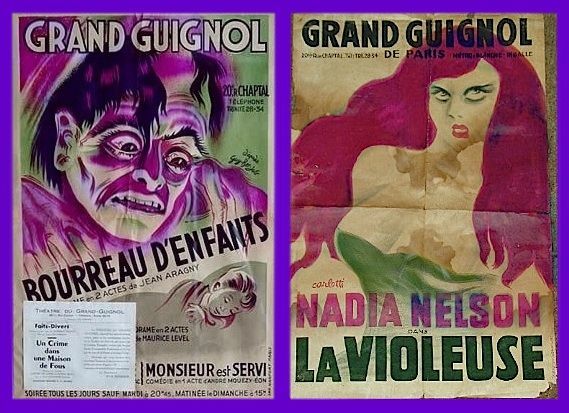 Purple (or magenta) and green conjure up goblins and ghoulies, but not necessarily from last Halloween, and even though it's not a seriously horrific palette, it isn't particularly kid-friendly either (witness the Grand Guignol posters above). 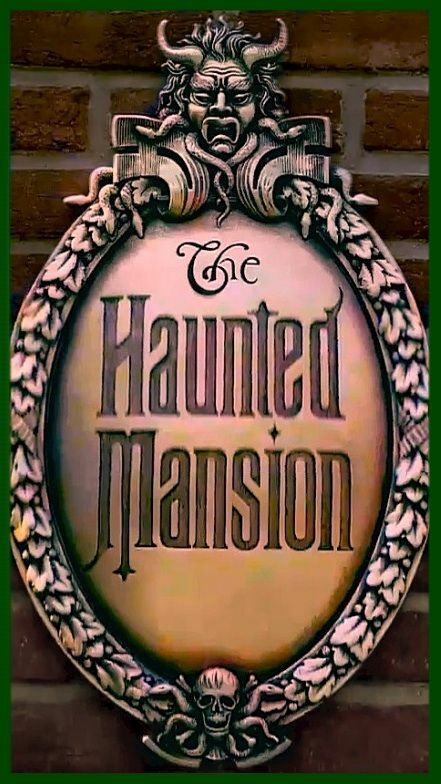 All and all, it feels like a perfect fit for the Haunted Mansion, does it not? 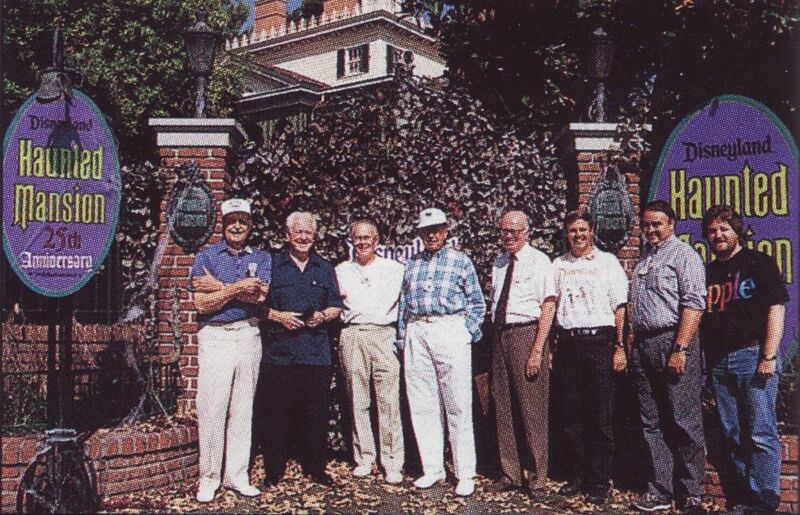 Dave Smith, Disney historians David Mumford and Bruce Gordon, and Russell Brower. wonder everyone agrees that he hit the nail right on the head. But you know, he wasn't the only one. the last 15 years or so. The evidence is undeniable, the case is closed, 'nuff said, and Q.E.D. and the next year it may be yellow there. Green-purple coloration is always prominent somewhere, however. 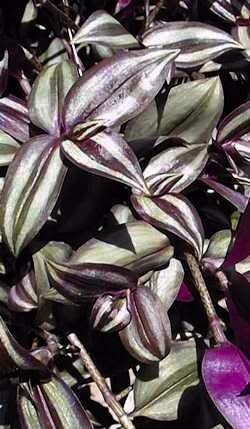 that give you both colors, like this Wandering Jew. 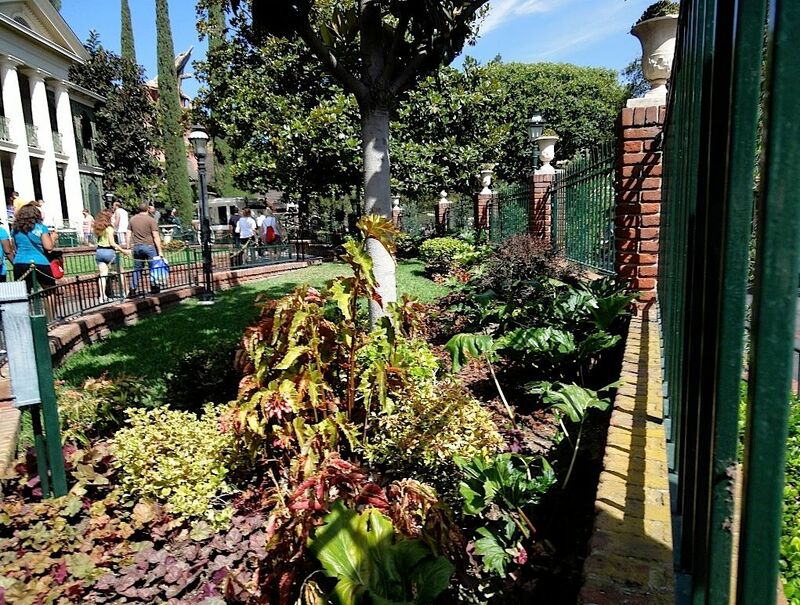 I've said it in other places, and now I'll say it here: There is NO DEPARTMENT at Disneyland that produces more consistently excellent work than the landscape and groundskeeping crew, the gardeners, the flower and tree guys—whatever it is they most like to call themselves ["Horticulture," I'm told]. They know exactly what they're doing and they always do it well. Gentlemen and women, I salute you. You're the best in the business. P.S. 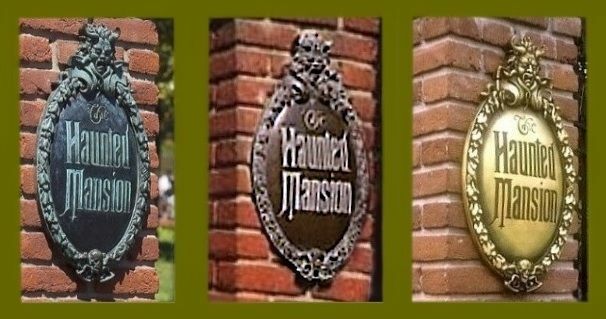 Lonesome Ghost points out that I've overlooked an obvious example of the green-purple palate at the Mansions: The Butler's uniform. 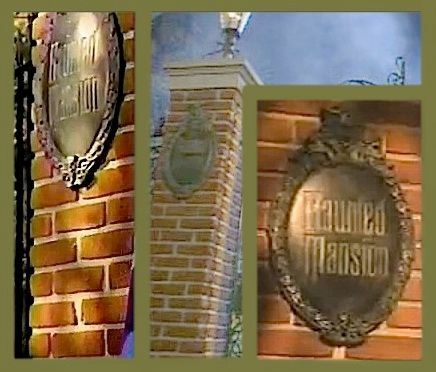 There's another item out here in front of the Mansion where color more or less tells the story, but it doesn't redound to anyone's credit quite so much. In fact, it may be more an example of blundering to a happy conclusion than brilliant theory expertly applied. them when they were like that, and there are enough photos around to give you an idea of how impressive they were. The golden age didn't last even one full year. They quickly turned brown. Like a penny. 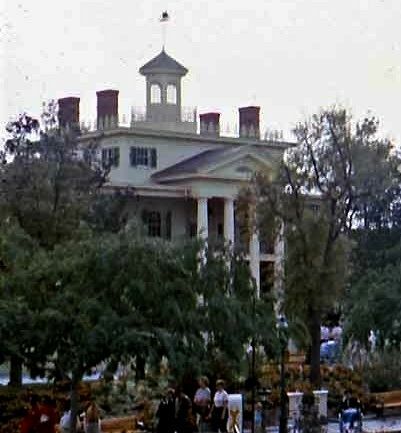 By 1975, the brown was already beginning to oxidize to green. 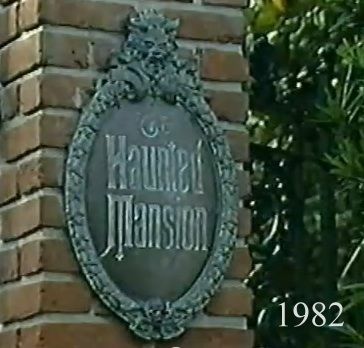 By the early 80's, they were very nearly as green as they are today. After a few more years, they were. Afterwards, someone must have realized how stupid it was to try to make what was supposed to be an old house look like it was still bright and shiny new. Why not rejoice over the natural greening, the fact that the house really was beginning to show its age so authentically? Here was Nature freely supplying something they normally have to fake, and they were trying to fight it! 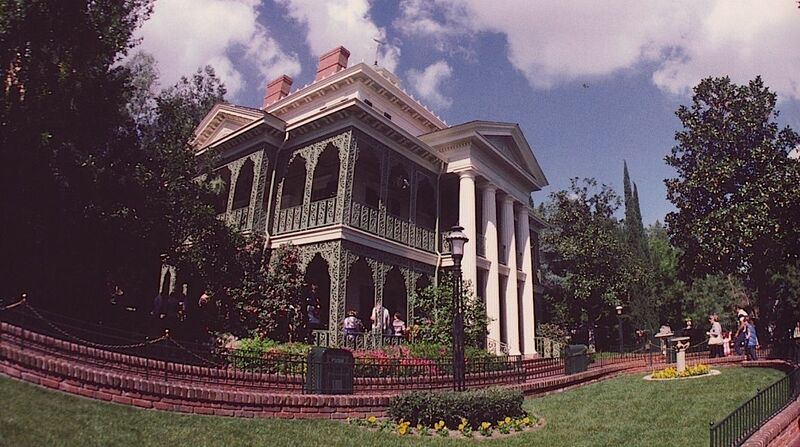 True, the house is supposed to be kept up, not dilapidated, but this is different. 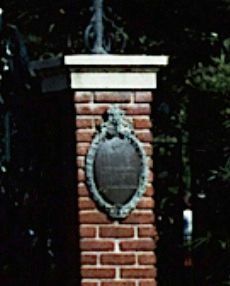 Even in carefully manicured environments, outdoor brass and bronze fixtures are often allowed to oxidize. 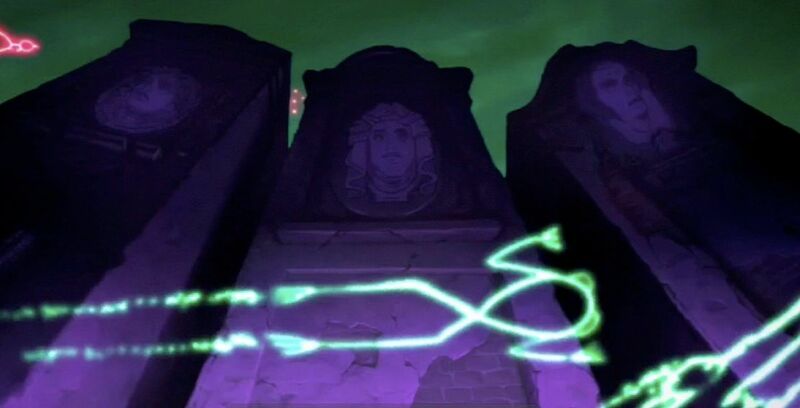 Anyway, they wised up and let them go back to green, and green they remain today. I don't know if they gave them any chemical help to speed the process. I would like to think they did not, but I must admit that the lettering and evenness point to some degree of artificial guidance, lending Nature a hand. 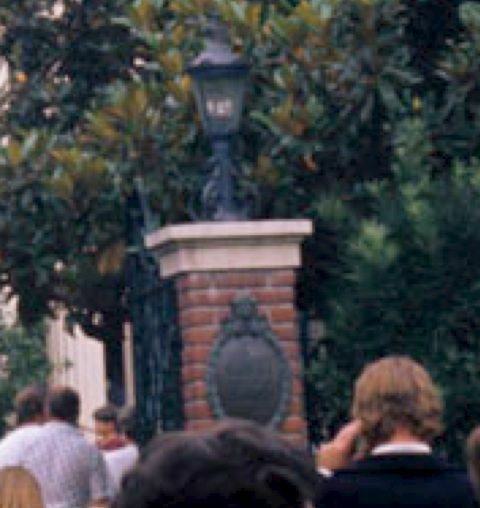 You can see them darkening up and starting to oxidize again in that 1994 25th anniversary shot earlier. impression of an old and mysterious place. In their own way, those sombre green plaques contribute to this phenomenon, I think. 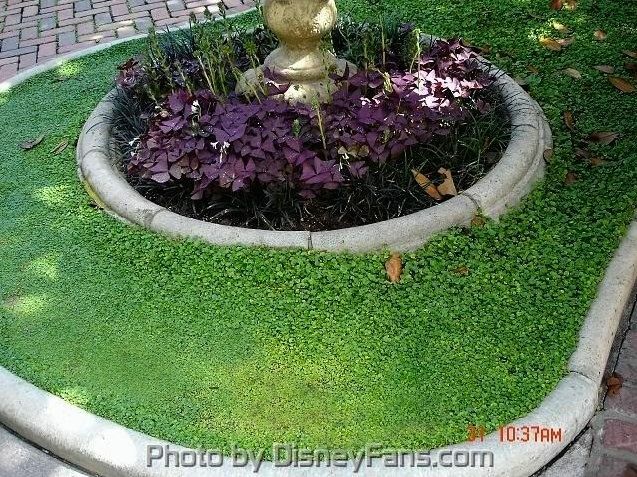 although in Orlando they seem to have resisted the green and clung to the brown more stubbornly. some that you know about and some that you don't. Next time.